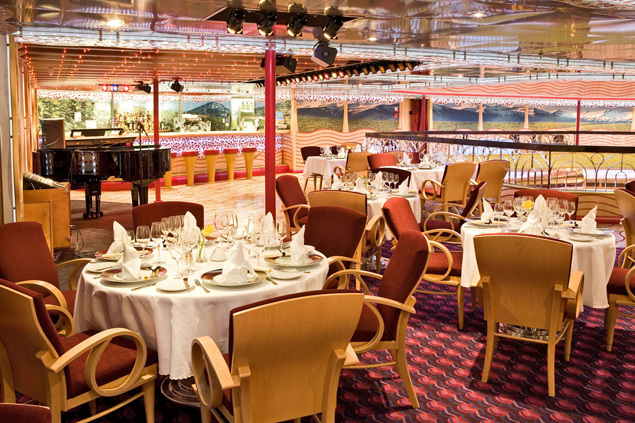 Costa Serena is the flagship of the Costa fleet. With four swimming pools, thirteen bars, five restaurants, and a myriad of fun activities to do day and night, you will be entertained for your entire trip. 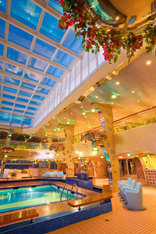 The Serena is one of the largest ships in the Costa fleet, and it features the luxurious Samsara Spa, which spans two decks. Spacious public areas, panoramic views, and stylish decor add to your comfort. Get ready for an amazing cruise, and book a trip on the Serena today. Costa Serena has some fabulous amenities. Swim in one of four swimming pools, including two with retractable roofs and one designed just for the kids - or unwind in one of the five Jacuzzis. The fitness center has a fully equipped gym, as well as a jogging track and outdoor sports courts. You can get a great massage at the Samsara Spa or enjoy a manicure at the Venus Beauty Salon. The Solarium is a great place to relax, hang out and bask in the sun. 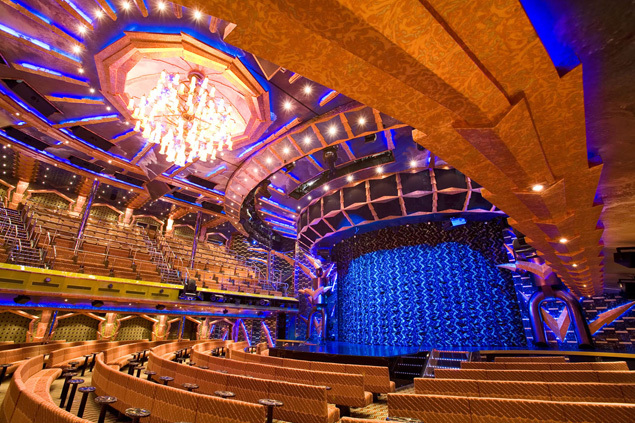 The ship has a shopping center, an art gallery, a chapel, a library, and a card room too. Check out the virtual arcade, or check your email at the Internet center. For the kids, there is the Squok Club, which features supervised activities for kids of all ages. There is also a Grand Prix simulator. 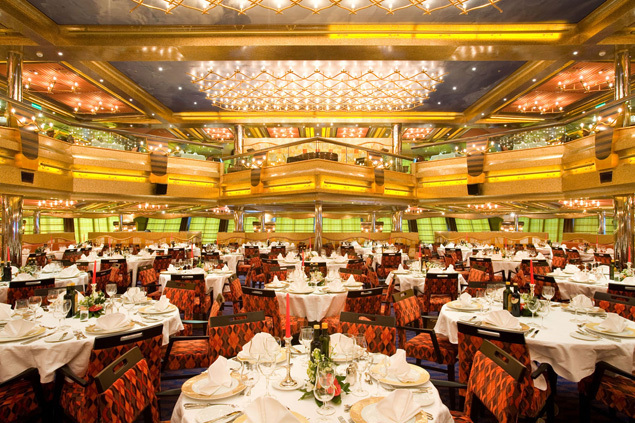 Costa Serena has five restaurants, all of which offer culinary delights. The Ceres Restaurant, the Vesta Restaurant, the Prometeo Restaurant Buffet, and the Club Bacco a la carte Restaurant all have two levels; enjoy different cuisines to choose from in each location. The Samsara Restaurant is a great spot for healthier fair. If you would prefer a quiet meal, there also is a room service menu. 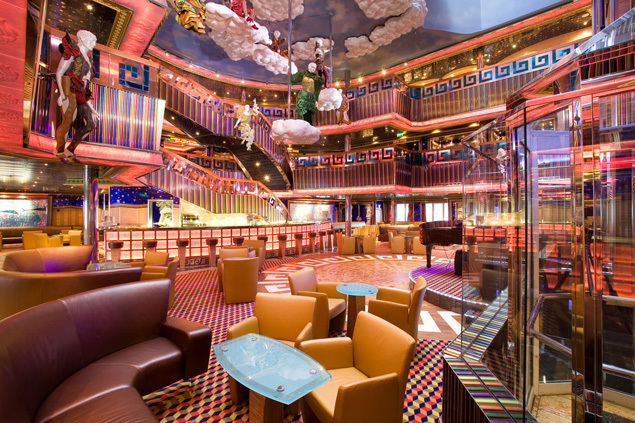 Costa Serena features several great entertainment options and there is something for everyone. If you like live shows and music, the Giove Theater, spanning three levels, features different live performances each night. If you like to dance, head over to the Cupido Dance Lounge, or the Pan Disco - you can groove to the beat all night. 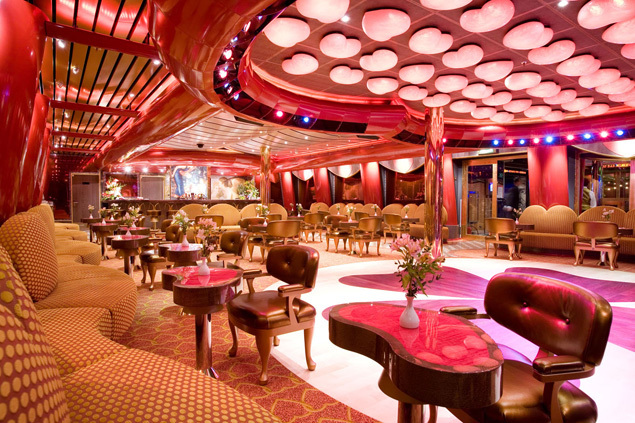 The ship is home to ten different themed bars and lounges, including a piano bar, as well as a Cognac and Cigar bar. Try your luck out at the Giano Casino, where you can enjoy all of your favorite casino games. There is no shortage of things to do on this amazing ship, so grab your friends and enjoy a cocktail, and get ready to enjoy your night!